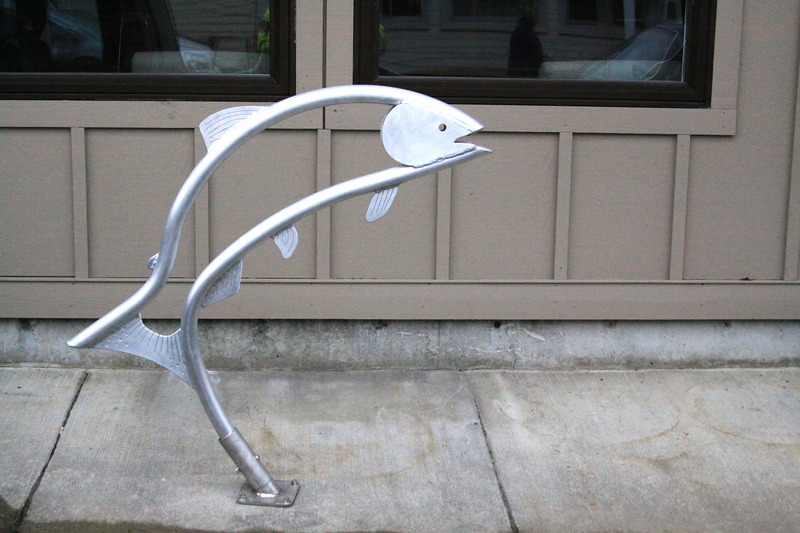 Recently, the Sitka Downtown Revitalization project installed a new bike rack at 110 American St., just in front of the ASRC-McGraw Constructors office. But this isn’t an ordinary bike rack. It’s a work of art, a jumping salmon by Sitka metalworker/welder Mike Litman of Precision Boatworks. This is the first one of six jumping salmon bike racks that will be installed in the downtown area as part of the revitalization project. 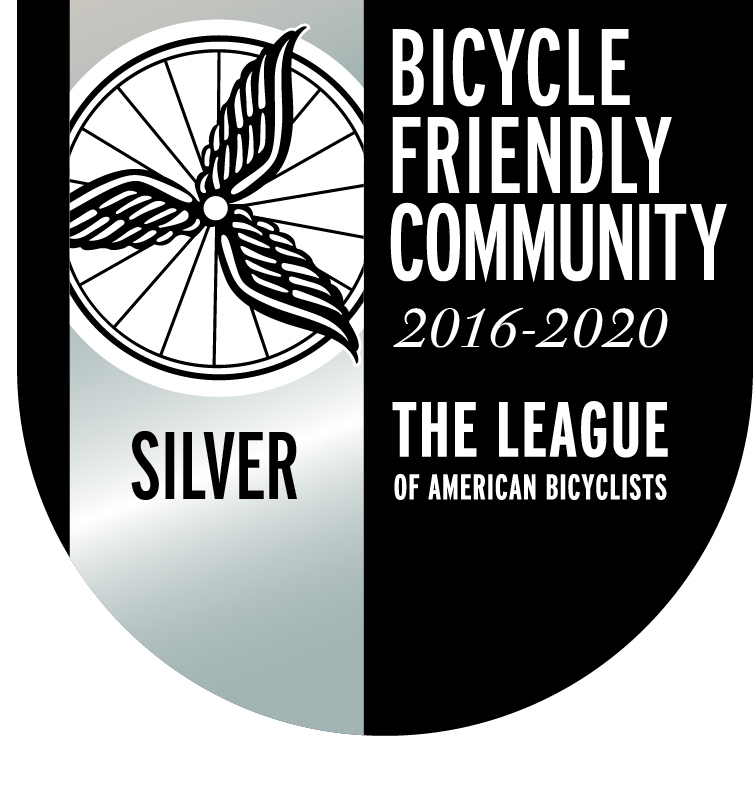 Applications are being accepted from downtown businesses who would like one of the new racks in front of their establishment. 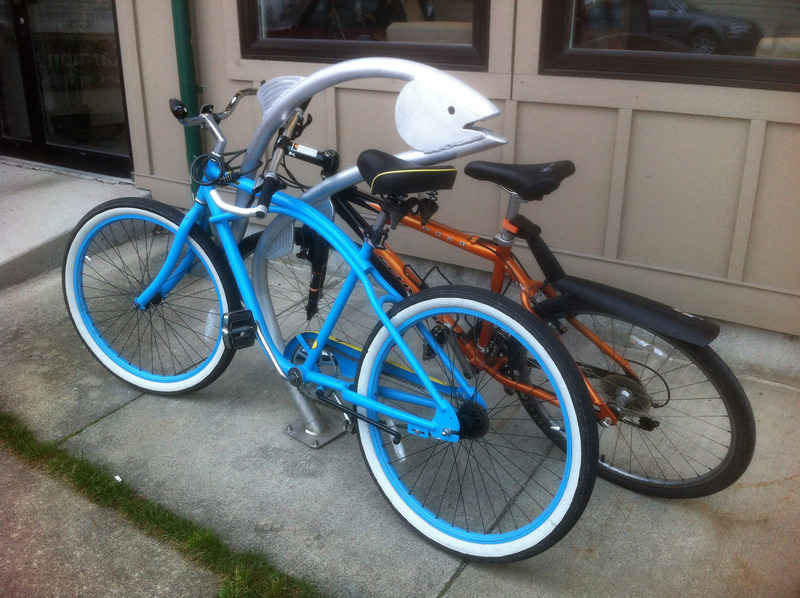 The project spent $3,800 for the six jumping salmon bike racks, which also includes installation costs, as a way to add a decorative touch downtown while also providing Sitka cyclists a safe place to lock up their bikes when they shop or work downtown. Downtown businesses that want one of the other five jumping salmon bike racks need to have a place that is out of foot traffic and near an entrance. Bonus points are given for locations under an awning or other covering. To learn more, contact Doug Osborne at 966-8734 or doug.osborne@searhc.org. 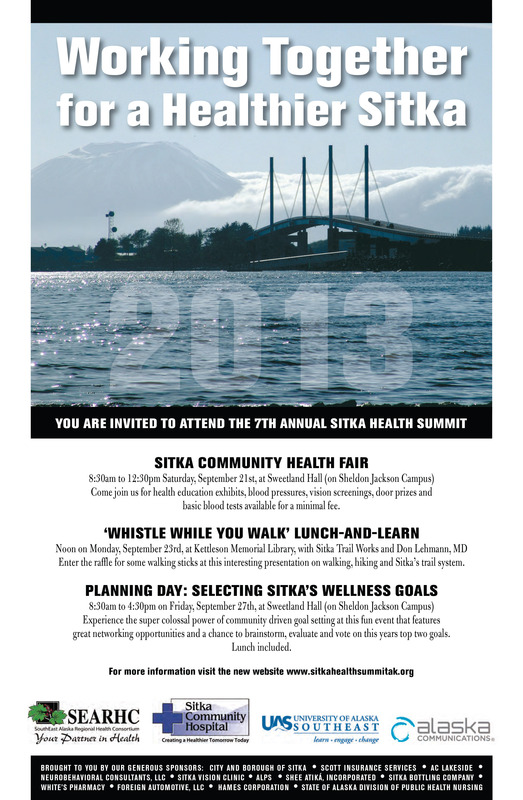 The jumping salmon bike racks and installation are free for the selected downtown businesses, but they do have to sign the attached hold-harmless agreement with the City and Borough of Sitka.